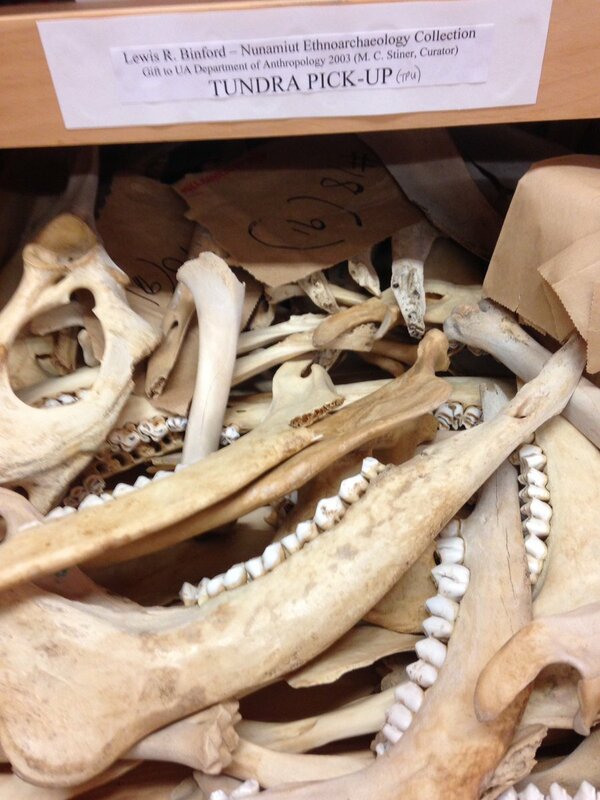 Working on inventorying and cataloging vertebrate collections at the UA School of Anthropology. It’s sweltering outside (summer, Arizona), but inside reminds me of the arctic. The caribou and sled dog specimens from Binford’s Nunamiut project assure me that somewhere, far away, there is snow.